The Bible tells us that one day Jesus’ heart of compassion responded to the desperate cries of ten lepers. They were outcasts without hope, without friends, separated from society and human contact. Some people ignored them, some pitied them, some despised them, some wept for them, but none could change them. Jesus was their only hope. “Have mercy on us,” was their collective cry. Jesus responded to them with a word. Not a word of sympathy or pity, but a word of power. It hit them like a thunderbolt. “Go show yourself to the priest.” What a statement! According to the law, you went to see the priest to verify your healing. And as they went, in obedience to His word, they were healed—all ten! To be instantly healed from leprosy was amazing. It meant everything—a place in society, a job, hugs and human affection, belonging, acceptance, purpose, value. But what is even more amazing is that only one out of the ten was grateful enough to return and to pour out his thanks to Jesus. In Timothy we read, “In the last days…people will be…ungrateful.” We live in an ungrateful world. To listen to most, you would think that either God didn’t exist, or if He did, that He was indifferent, unkind, and uncaring. God’s generosity to us in Jesus Christ is overwhelming—God gives us a clean heart, a joyful heart, a loving heart, a peaceful heart—yet, there is one thing God cannot give us, and that is a thankful heart. 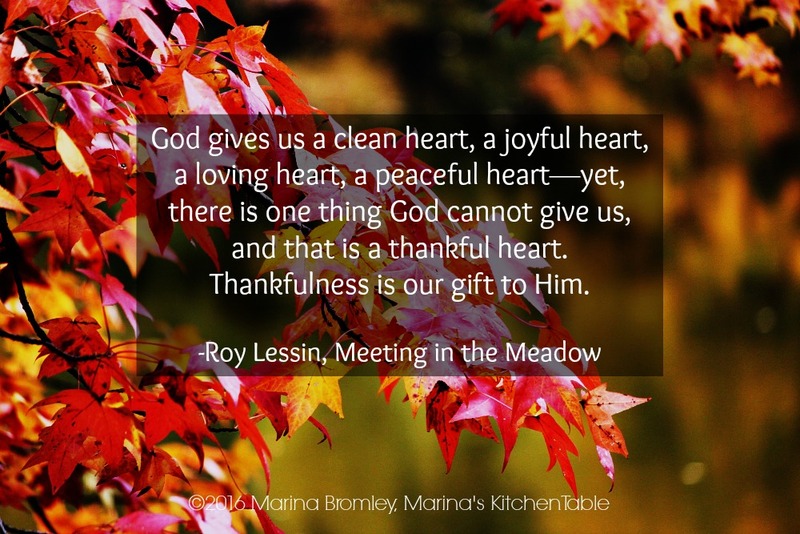 Thankfulness is our gift to Him.